Most of the Small Business Website on the internet fail due to lack of knowledge for effectively promoting or doing SEO work for their website. Most of the web traffic came to the website from the major search engines and the visitors came from the search engines are organic visitors, they are only those who are intended to find out about the topic, product or service you are providing. So there are high chances of being customer of your website, the visitors which are coming from the search engines. It is very important to optimize small business website for the search engine, to acquire more traffic which can drive more customers, more sales and more benefits. 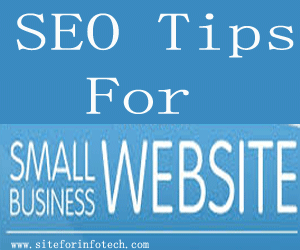 So I have posted here some SEO tips for your small business website. I hope, it will help to promote your small business effectively. Before starting any website for your organization or business you have to get an idea for website, which can be done by using any keyword suggestion tool. Find out set of keywords that best matches to your business. To find out the set of keywords Try one of the following Keyword Research Tools. After finding suitable keywords, start to create a website for your business, which should be SEO friendly as far as possible. Try to register your domain that best matches to your business or organization. Also select suitable title for your website use latest technologies while building a website. Use only valid HTML and CSS tags and test using HTML and CSS validation Tools. It is the fact that blogs are more SEO friendly and instant update is easier. Blogs are more user friendly and easier to communicate to the visitors. To start a blog for your website that supports your website to spread around the web. You can start a blog using any blogging platform sites. Add suitable meta keywords on your both website and blog which you have collected by using keyword research tools. The keywords must be unique and it can represent your whole website or blog. It must be a set of best matching keywords for the website. Insert meta description keywords describing your site or blog with including your keywords. The meta description tag must be unique and can describe the features and services provided by the website in one or two sentences. Sitemap is a most important part of any website or blog. Sitemap makes any website more SEO friendly and helps to index on search engines easily and also helps the visitors to find out the contents on the website. So you should create a sitemap for your website. It is better to make to sitemaps one is XML sitemap for the search engines and HTML sitemap for visitors of your website. By improving the structures of your URL, you can make the website or blog more visible to the search engine. Instead of deep nested directory structure, make flat file system, use appropriate keywords in URL and only use lower case letters in the URL. Title of the webpage plays most important role for making your webpage more visible to the search engine. The title of the webpage or post of a blog must be unique and must use keyword on it. The meta description for the page must be unique and descriptive. The navigation of a website is very important in helping visitors quickly find the content what they wanted. It also helps the search engines to understand the contents on the website. On easily navigable website, the visitors can go to any other page easily from your most visited landing page. Only the quality content and services can attract the visitors and can increase their recognition on their own. So always try to create unique and fresh content for your website or blog. Stay organized around the topic or title of the page or blog post. Also try to write easy to read text on the post. Users will occasionally come to non existing page on the website by following broken link or by typing wrong in the URL. Such a page called 404 page, which displays error message. You can redirect such visitors to the right page of your website by instructing them by setting up custom 404 page. To optimize your site on the search engines you have to optimize your used images also. To optimize the images you have to have to make the size of the image small and clear as far as possible and format of the image should be in .png or .jpeg but .png format is the best. You should use alt attribute and title tag on the image and the title should be keyword of the page. For image optimization Tip Visit: How to Optimize Images for Web Using Photoshop and ImageReady? Search engines gives more value for the heading tags used in a post. Appropriate uses of heading tags from H1 to H4 makes your website or blog more valuable. The title of the page should be H1 type of heading and the sub title under it should be H2, H3 and so on. Creating links on another highly ranked site improves your website reputation and ranking and it is better to create deep links on them. While creating links to other site you should use better anchor text to build keyword rich links. Internal linking within website or blog also valuable not only for better ranking but also helpful for making your website more navigable. Effective internal links can spread visitors of one page to another page easily, which increases the overall performance of your website. Creating e-books and slideshows about your business, organization or website and sharing on different file sharing sites and other social media increases the popularity of your business and website. And the link of the file can drive number of traffic to your website. Linking your home page on other pages correctly helps the visitors to go to the home page easily and also helps the search engines to know about your homepage. While linking home page, you should use the word ‘Home’ on the anchor text and should also use ‘rel=’home’ ‘ on the link. Google also provides lot of tools for optimization of your website or blog. The free keyword suggestion tool is provided by Google Ad-word. Google webmaster is another set of services where you can submit your websites sitemap and can track your website. Google analytic is also another tool for real time and advanced analysis of your site. It is known that building links to your site is importance in achieving high search engine rankings, especially in major search engines can be the best idea for creating one way links, which lead to page one results. Article marketing not only provide one way links, it also gave potential information about your website to the customers. You can submit on the top article submission sites like Ezine Article, Article City, Go Articles etc. SEO Tip- 22: Insert Keywords on Article Title and the body. By inserting keywords on article title and the body your can make your website more visible to the search engine. But extreme use of keywords unnaturally may harm. Normally using keywords less then 5% on the article is better. So only use keywords on the appropriate places. The age and the expiration time of the domain also impact your sites visibility on the search engines. search engines gives priority for the older and having long time expiration date domains in the search result. So it is better to register your domain more than one year. You can use free as well as paid seo tools for optimizing your website for search engines effectively. The most important seo tools that can be used are keyword suggestion or keyword research tool, back-link checker tool, website analyzer tool, keyword density checker tool etc. Submitting press releases on press release site is another way for building one way links to your website. You can use a press release to build links and increase search engine rankings effectively along with placing links on the body of press releases you can create deep linking to your website. 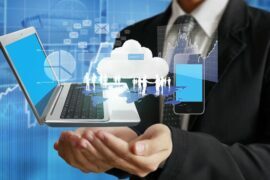 Today’s world going towards mobile and other small devices for the internet access. Internet users from the mobile increasing day by day. So mobile site is also became necessary for any website to attract the mobile users. So create a mobile version also of your website and submit to search engine for indexing. Search engines may change their algorithm for displaying the search result on time to time. So you have to get updated about that and have to use the tips and techniques that matches to the change. To get notified about the algorithm changed by the search engines and the tips needs to use to overcome that. You can follow the major seo sites and forums. like YouTube. Once you have posted video on YouTube, you can post it on your site and YouTube will pick up the link to your site. Declaring language attribute for your website is most important for country and language targeting. Which can be done by using any of the methods below. # Declaring language attribute in the HTML element. Your single page may have more than one versions of URL representations. For example you may have the following types of duplicate URLs. Creating high quality backlinks from targeted websites helps to grow your page rank and number of website visitors. To stay in competition with your competitors you have to use the quality backlinks made by your competitors. You can gate your competitors backlinks by using alexa backlinks information or by using any of the backlink checker tools. Social bookmarking sites are used for bookmarking your favorite, and useful links from the web and sharing them on public. You can use these services to bookmark your sites important links on public. While using these services, do not submit your links only on aggressively, they may band your account for such works. So it is better to share important links only and share other link from the web also. Now a days social networking sites are most popular, most of the internet users uses social networking sites like Facebook, Twitter, Google+etc. for sharing their status, photos, videos, files and links. So promoting your site through these sites may be most advantageous to their users. You can share to your friends and subscribers from your own accounts and you can also asked the visitors to share by placing social sharing button on your site. You can set up Google alerts for tracking the search results in any search terms. This tool will monitor Google results with predefined search terms and then email to you on the daily basis. You can find out high quality websites from Google alerts in the search terms related to your website and can request for link or can do guest posting or can submit comments on them. Adding Google+ authorship to your website can increase your websites rank on Google search results. You can add Google+ authorship by linking your content to your Google+ profile i.e. <a href=”[profile url]” rel=”author”> Google </a> and linking back to your site from contributor section of your Google+ profile. Forum posting can also help to build links to other site. You can search for related terms or the questions asked by others about your topic and answer that by signing up on them. So find some forums that mainly focus related on your website. You can find out the forum posting and threads by using any forum search engines. Guest posting on the top blog related to your websites topic is another method of promoting your website. You can post articles by writing yourself or can ask the blog owner to write a sponsored post. It not only increase the reputation, also helps to create quality back-links. You can find out list of top blog related to your term by using any of the blog search engines. While optimizing your website for the search engines, you don’t have to forget about local search rankings. Local search results are very important for national competition. So specialize your contents for specific city, area or country. Also write reviews about your business location in your city on Google map. Anyone can find out about your business on the local search results.